 Below is a list of hospice care providers in Baton Rouge, Louisiana. Be sure to check out the hospice care section on our Articles and Information Section to answer any questions you may have regarding hospice and palliative care. Opening its first hospice in 1979, Hospice Compassus is a family of community-based hospices. The mission of Southern Care is to assure that residents of its service locales have access to a program of care that enhances the quality of life for the terminally ill and their families. Clarity Hospice was established to provide home/residential facility care for patients with life-limiting illnesses who choose comfort care, rather than curative measures.